Showing 51 articles from November 20, 2013. Novant Health’s plans to open a dual operating room ambulatory surgery center near Youngsville has local communities split. Louisburg opposes the move, calling it a wedge issue hinting at further changes soon, while Youngsville and Franklinton officials have both adopted resolutions in support of the development. Youngsville: Bring it, we’re ready! YOUNGSVILLE — While Louisburg officials are looking at Novant Health’s plans to place a bolstered operating center near Youngsville with disdain, officials here view the move with glee. Novant Health, which owns Franklin Medical Center, filed an application last week, seeking approval from the state Department of Health and Human Services to move a second operating room to a planned free-standing ambulatory surgery center at the intersection of of N.C. 96 and U.S. 1. Louisburg town officials left no doubt Monday night that they intend to fight Novant Health’s attempts to move a license for an operating room from Franklin Medical Center in Louisburg to a proposed day surgery facility in Youngsville. Novant, which owns Franklin Medical Center, filed an application last Friday, that if approved, would allow it to move one licensed operating theater and, company officials contend, make the proposed Youngsville facility more viable. First signs of the season! IT’S BEGINNING TO LOOK A LOT LIKE... Ben Benton, with Louisburg’s Electric Department, installed holiday snow flakes along Bickett Boulevard, with the help of Lin King. 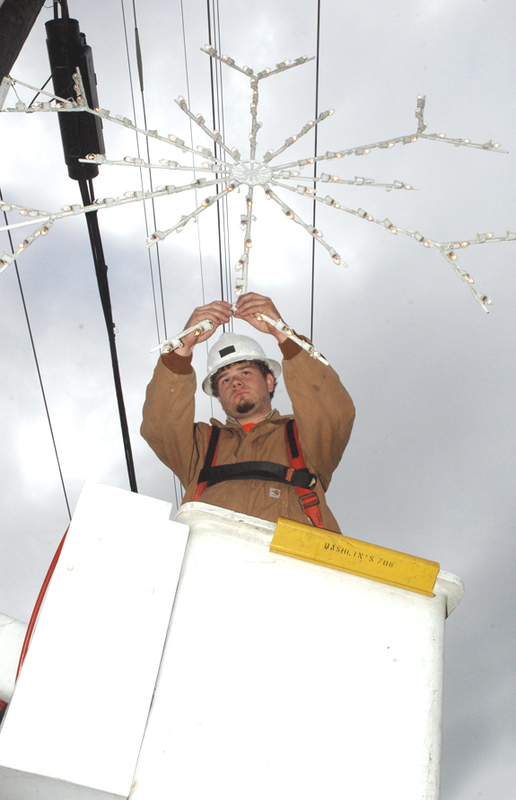 Crews put up the lights and banners to reflect the holiday season. Bunn, Franklinton and Youngsville towns also put up holiday decorations. Franklinton commissioners joined Youngsville on Tuesday night in its support of Novant Health’s plans to open an ambulatory surgery center along U.S. 1 near Youngsville. Novant, which operates Franklin Medical Center, is proposing to open a dual operating room surgery center at the location, taking what they’ve described as an under-utilized operating room from their Louisburg location. LOUISBURG — Two Franklin County employees were fired earlier this month amid allegations of embezzlement. County staff has said several thousand dollars are believed to be missing. Tammy Wester Davis had served as a plans review officer in the county’s planning department. B.J. Brewer had served as a fire inspector in the code enforcement section. The county did not immediately provide the dates of their termination. For instance, black-and-white photos juxtaposed with color images to highlight the differences. Our page 1 in the Thursday, Nov. 11, edition of your Franklin Times was a perfect illustration — so perfect maybe the dictionary will consider using it as the illustration for juxtaposition in its next edition. 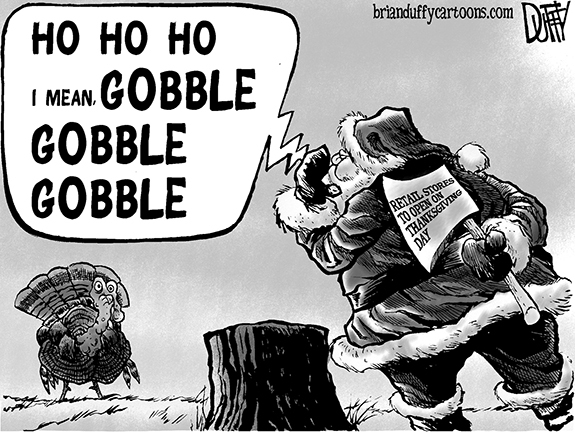 Don’t look now but Turkey Day is almost upon us! In just a few days — earlier in some homes where cooks prepare food well in advance — ovens will be heated up, cooktops filled with pots and pans and everyone will be eagerly awaiting the fun, food and fellowship which comes with one of this country’s favorite holidays, Thanksgiving. Okay, this is really going to take some explaining. I read recently where George Zimmerman has posted bond and was released from jail on assault charges. Now, Zimmerman, as most may know, is the Florida man who was acquitted of second degree murder in the shooting death of a teenager — Trayvon Martin. 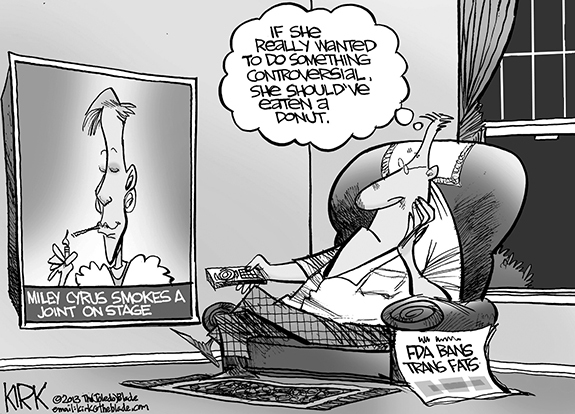 That issue, without a doubt, has been incredibly controversial. Why does tragedy, not joy affect us humans so deeply? I wrote tomorrow’s posting to my blog about a week ago. It chronicles my personal experience with the assassination of President Kennedy 50 years ago tomorrow. It also poses a disturbing question, which was only reinforced in a conversation I had Saturday morning with several of my friends who are about 20 years older than me. Why will people not act when they know wrong is being done? Many months ago, a well-kept secret was exposed on how records were being maintained at the Franklin County Courthouse. Historical records dating back hundreds of years were found to be sitting in water. The condition of these records was by any standard, deplorable. Most readers were shocked at Tea Party leader Roger Lytle’s admission in a recent letter that “myself (Roger Lytle) and my fellow patriots all across our great nation are totally against democracy!” However, his anti-democratic view is consistent with an earlier letter in which he advocated that state legislatures should select our United States Senators instead of citizens directly electing our Senators. Many people in Louisburg and surrounding area were deeply saddened recently, by the loss of two fine young women who had touched many lives while on planet earth. The Lord called home Star Cardwell Abbott and Arlene Mashburn Hodges. They will continue their journey in heaven with the Lord Jesus Christ. HENDERSON – Betsy Rose Beckham Stainback, 77, died Saturday morning, Nov. 16, 2013. A memorial service will be held at 11 a.m. Thursday, Nov. 21, in the chapel of Strickland Funeral Home. Funeral services for Lucy Edgerton Hawkins, 95, who died on Sunday, Nov. 10, were held at 1 p.m. Saturday, Nov. 16, from the Jones Chapel Missionary Baptist Church. Burial followed in the church cemetery. The Rev. Hosie Starr officiated. LOUISBURG – Ollie Daniel Duke Jr., 89, died Tuesday afternoon, Nov. 19, 2013. A memorial service will be held 11 a.m. Friday, Nov. 22, in the chapel of Strickland Funeral Home. LOUISBURG - Susie Yarborough Hawkins, 93, died Wednesday, Nov. 19, 2013 at her home in Louisburg. Funeral service will be held Monday, Nov. 25, at St. Paul Presbyterian Church, Louisburg. Burial will follow in the Cemetery on the Hill, Louisburg. LHS YARDAGE COLLECTOR. Louisburg High School’s Derrick Smith heads upfield during last Friday night’s loss to Lakewood in the opening round of the NCHSAA Class 1-AA State Football Playoffs at Patterson Field on the LHS campus. LOUISBURG -- The fourth-down blues haunted the Louisburg Warriors during their first-round matchup with Lakewood last Friday in the Class 1-AA State Football Playoffs. On four occasions in the second half, the Warriors went for it on fourth down in their own territory -- and were unsuccessful. THAT’S A WRAP. Bunn High School defenders Dominique Seda (l) and Daroun Hodge (r) try to chase down Greene Central’s Curtez Braswell last Friday. BUNN - David Howle’s early-season assessment that his Bunn Wildcats had the potential to be a contender is looking more spot-on by the day. 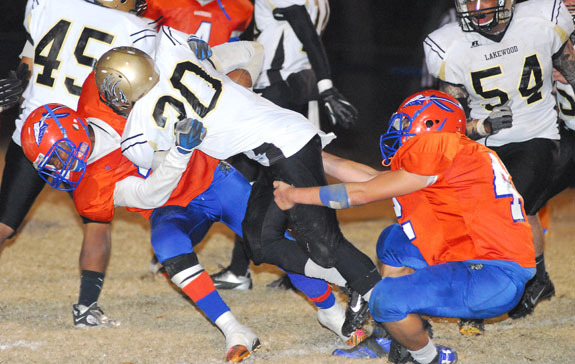 Howle and his Wildcats rolled into the Class 2-AA State Playoffs off a strong late finish -- and Bunn continued that momentum by rolling past Greene Central by a 69-20 margin in last Friday’s postseason opener at the BHS Football Field. PATH BLOCKED. 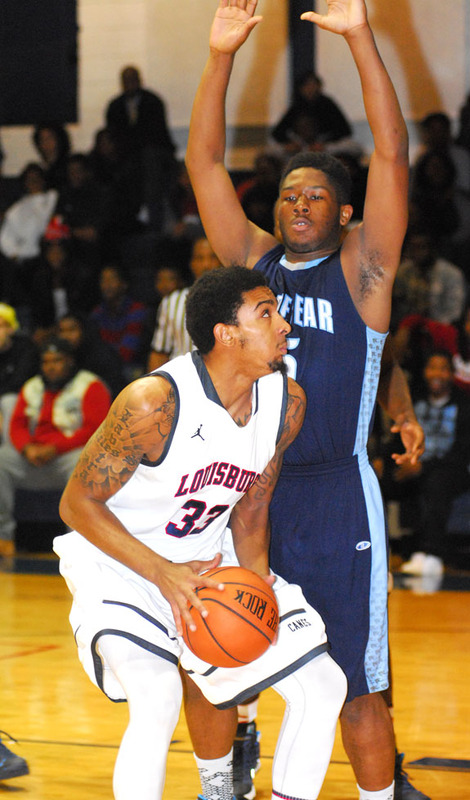 Louisburg College’s Miles Bowman (with ball) looks for a paint opening during last Wednesday night’s home victory against rival Cape Fear CC. 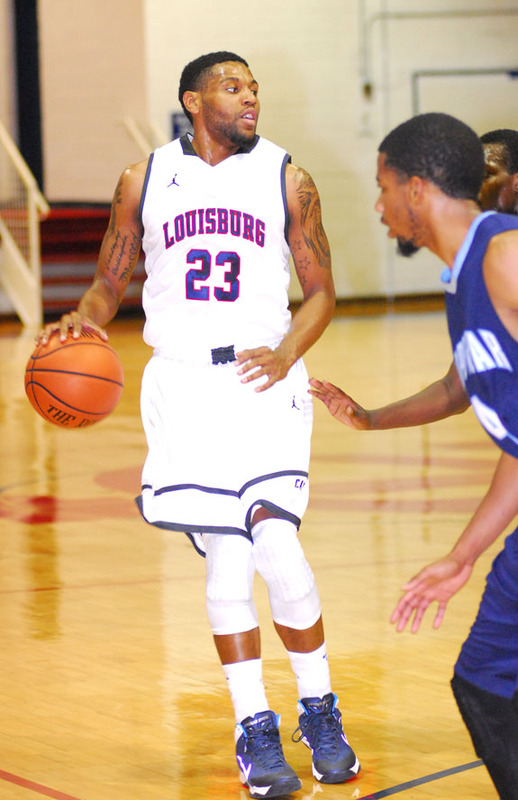 LOUISBURG -- A savvy college basketball coach knows how to build relationships with players -- and make them last. Mark Vanderslice has effectively used that strategy during his tenure as the head coach at Louisburg College. Witness the case of former LC standout Antonio Robinson, who is currently making an impact at East Carolina University. KINSTON -- In the estimation of Coach Jeremy Buck, closing out an opponent has been one of the biggest challenges this season for his Franklinton High School football team. 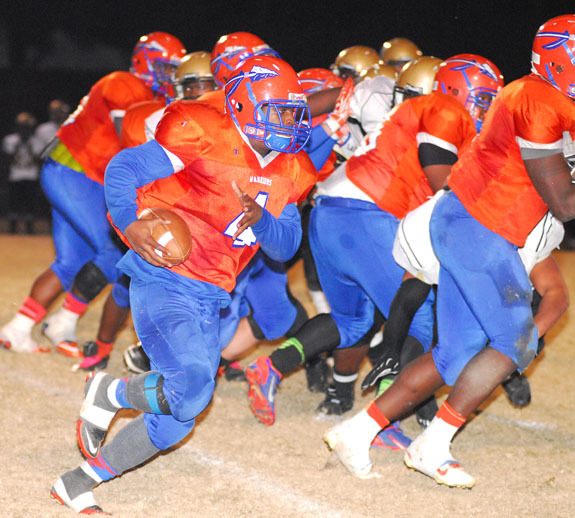 That bugaboo would strike at the most inopportune time last Friday -- and it would close the Red Rams a chance to advance in the Class 2-AA State Playoffs. Only one goal had escaped B.W. Holt during his illustrious four-decade tenure as a high school football coach. 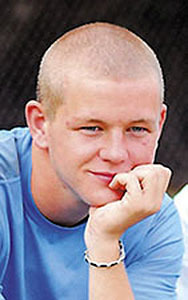 Holt, whose distinguished career included a stint at Franklinton, finally won a state championship last Friday as his Rocky Mount Academy Eagles defeated Southampton Academy. 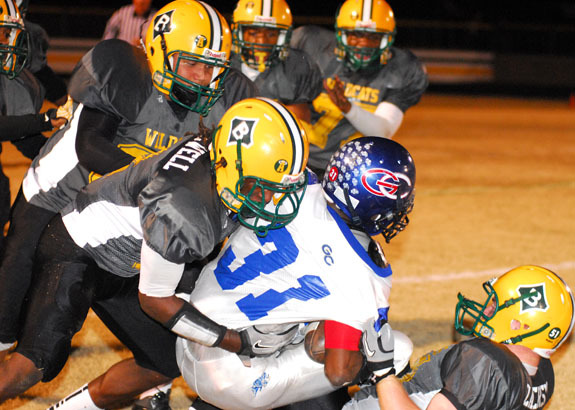 The game was in the finals of the NCISAA Eight-Man Tournament and was staged at the Rocky Mount Athletic Complex in Nash County. BUNN -- With seven freshmen or sophomores playing up on the varsity level, Coach David Howle didn’t know quite what to expect from his Bunn High School junior varsity squad this fall. But after a slow start, the Wildcats rolled down the stretch and went undefeated in league play to claim the Northern Carolina Conference JV Football Championship. 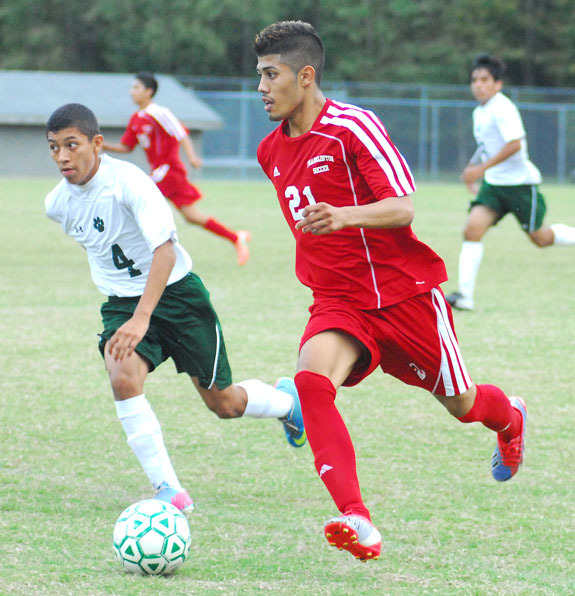 FRANKLIN COUNTY -- Franklinton High School senior standout Ivan Rebollar has earned a spot on the North Carolina Soccer Coaches Association’s Class 2-A Public School All-State Team. Rebollar delivered an area-high 36 goals to go with 10 assists while helping the Red Rams to a second-place finish in the Northern Carolina Conference. LOUISBURG -- Coach Courtney Tart and his Louisburg High School Warriors began the wrestling season Tuesday night by taking part in an event at Roanoke Rapids High School. Louisburg will return to the mat Saturday as part of the annual Raider Duals Tournament on the campus of Southern Vance High School in Henderson. FRANKLINTON -- The Franklinton High school wrestling team, coached by Alan Carter, began its 2013-14 schedule on Monday by taking part in a tri-match with Class 4-A powers Panther Creek and host Chapel Hill. FHS dropped the matches by scores of 44-35 (Panther Creek) and 57-22 (Chapel Hill). A DRIVE FOR 25. Louisburg College’s Kennethea Galloway drives toward the basket during the Lady Hurricanes’ home basketball decision last Friday night against Monroe College from New York. LOUISBURG -- So much for the ill-advised theory that this may be a rebuilding year for the Louisburg College women’s basketball team. In the past, the Lady Hurricanes have suffered what appeared to be crippling graduation losses -- only to quickly rebound with a successful campaign. RALEIGH -- Kyle Prairie, Vice President of Ticket Sales for the National Hockey League’s Carolina Hurricanes, has announced that the team is now offering a three-game Hurricanes Holiday Pack. Plans start at $59 and are available in five different seating categories. The Hurricanes Holiday Pack is available now by calling 1-866-NHL-CANES. FRANKLIN COUNTY -- When he was a boy, Larry Williams was stumped to find a subject for a school project -- until he thought about his own last name. As in Ted Williams, the baseball great for the Boston Red Sox. So Larry did his project on the legendary Splendid Splinter, and developed an affinity for his namesake that day. FRANKLIN COUNTY -- The Cubs Showcase Baseball Organization is conducting a tryout on Saturday for its 11-Under Team. The event will be held from 1-4 p.m. at the Rolesville Park Field, which is located behind Food Lion on U.S. 401. For more information, e-mail larrymckeithan77@gmail.com. ROCKY MOUNT -- The men’s basketball team of North Carolina Wesleyan College officially opened the 2013-14 season last Friday and Saturday, hosting its annual Roger Taylor Invitational. 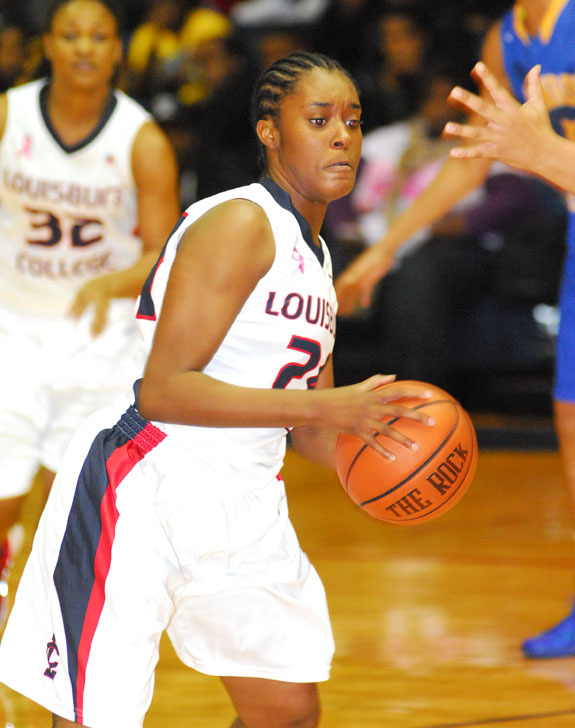 Taylor is a member of the Louisburg College Athletic Hall of Fame. 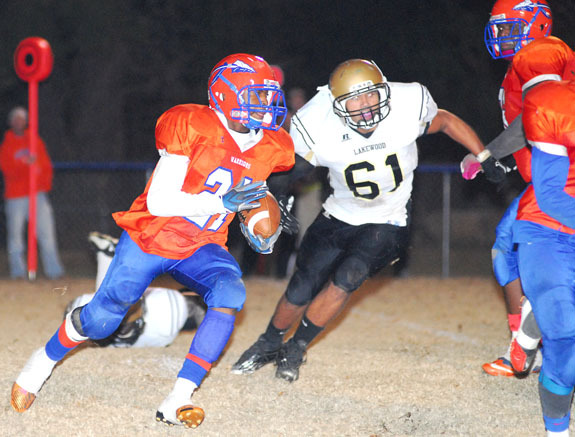 Senior Antonio Smith (with ball) wrapped up his exceptional gridiron career at Louisburg High School with an effective 2013 campaign under veteran head coach Chris Lee. 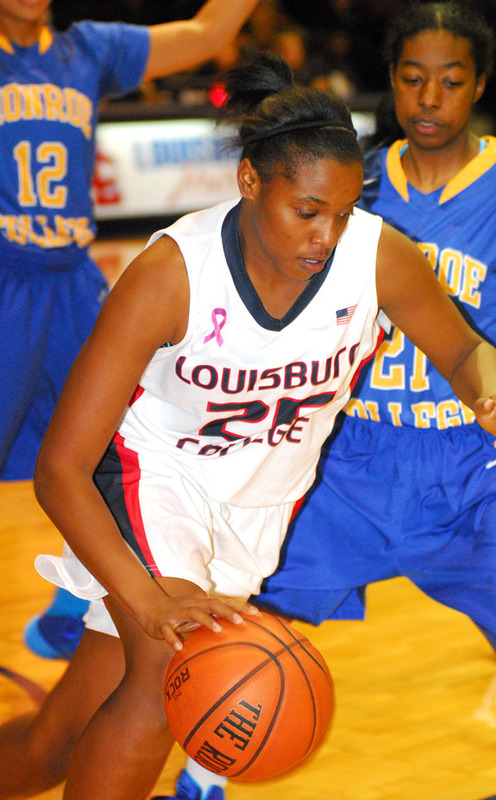 Louisburg College’s Zana Tatum grabs a rebound last Friday versus Monroe at Taylor Center. Several Bunn defenders team up for a stop during last Friday night’s home victory over Greene Central in the first round of the Class 2-AA State Football Playoffs. 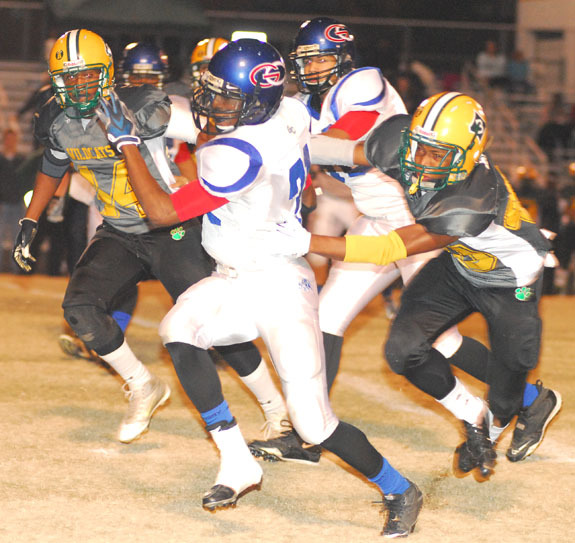 Michael Mitchell from Greene Central (right) tries to reel in a loose ball as Bunn’s Tevin Perry prepares to make the tackle during last Friday night’s playoff football showdown. 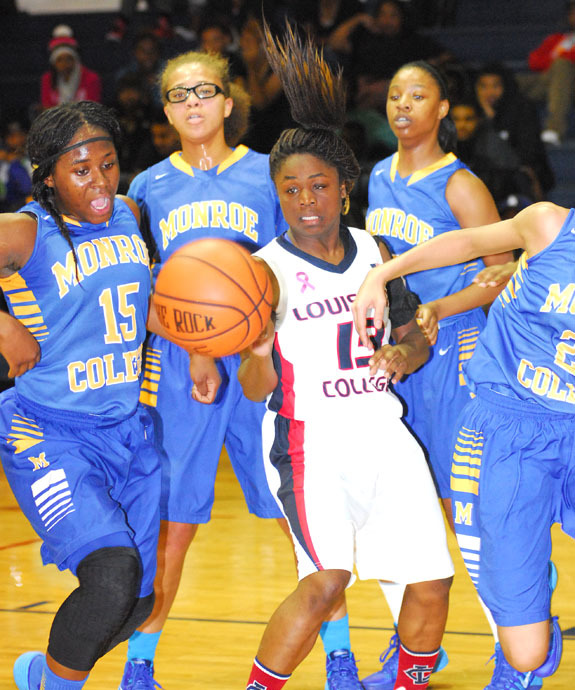 Louisburg College’s Sycoya Dorsey (middle) tries to come up with a loose ball while being surrounded by four opponents during last Friday’s home victory against Monroe College. Trey Brown directs the Louisburg College offense during last Wednesday’s men’s basketball victory over Cape Fear CC at the Taylor Center. Louisburg High School’s Derrick Smith (left) and Garrett Ingraham (right) team up to make a tackle during the Warriors’ home playoff loss last Friday against Lakewood HS. Thanksgiving isn’t just turkeys, it’s chickens, too! The Poultry Show and Sale is an annual event where children from Franklin, Granville, Vance and Warren counties participate in raising chickens from chicks to full grown adult birds. Joey Moore from Franklin County attended 4-H State Council Conference Nov. 16-17 in Raleigh. The delegation joined more than 260 youth and adults representing 61 counties. While at the conference, delegates had the chance to improve their leadership skills, participate in interactive workshops and visit North Carolina State University. CELEBRATION. 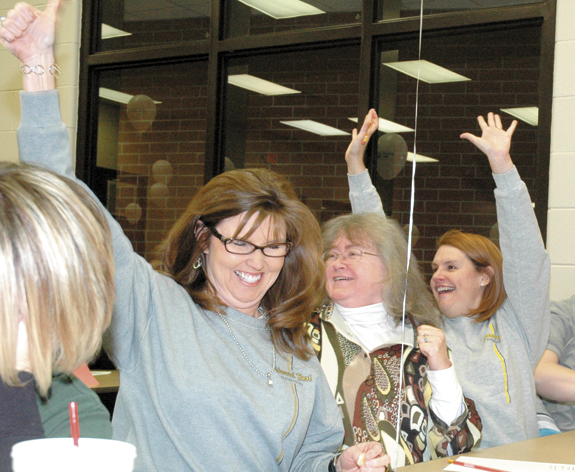 Above, members of the Edward Best Elementary team, Lisa Bendel, Cathy Palmer and Sharon King celebrate a successfully spelled word. 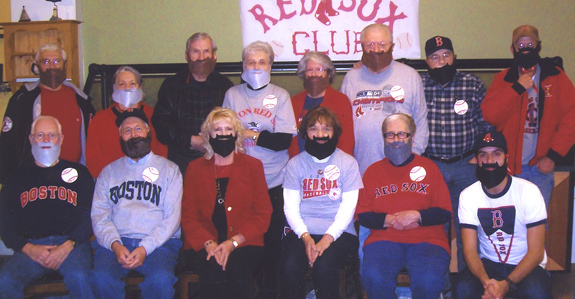 The United Way Spelling Bee was a showdown between last year’s champ and last year’s chumps. The tables turned, though on Nov. 12. 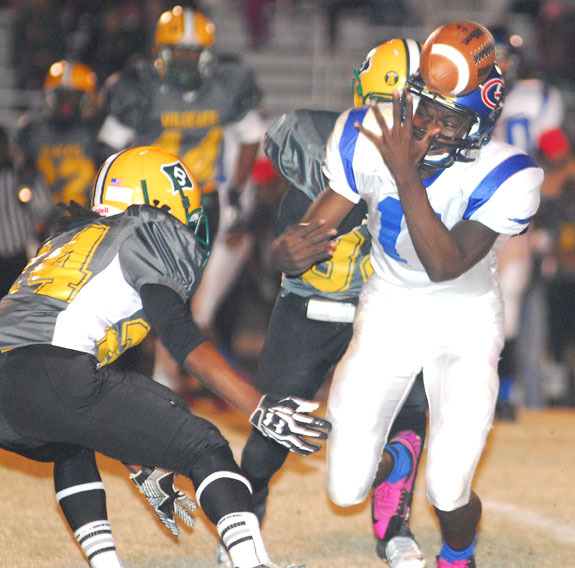 The Edward Best Elementary team, which had the dubious distinction of being the first team to bow out in 2012, battled Franklinton High School’s team in the final this year. FHS took home the title in 2012, but had to settle for second best this year. YOUNGSVILLE — After getting an audit report that further cemented the town’s improving fiscal condition, commissioners approved a one-step pay increase for its employees. Town Administrator Bill Tatum was blunt, telling the board that employees bore the brunt of a financial train wreck wrought by the town’s previous administration. 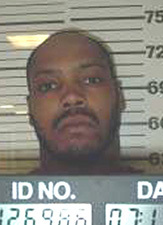 LOUISBURG — A Franklin County man was sentenced to about 20 years in jail after a jury found him guilty of holding a family hostage. The 12-member jury reached the verdict Nov. 15, following two days of testimony where they heard Nancy Alston and her family tell how Issac Pender Jr. broke into their Greys Mill Road home wielding a shotgun and looking for Alston — his ex-girlfriend. Through the Tar River Center for History and Culture, Durham-based independent historian Dr. David Cecelski will give a lecture entitled “The Fire of Freedom: Abraham Galloway and the Slaves’ Civil War” on Monday, Dec. 2 at Louisburg College. The lecture will begin at 7:30 p.m. in the Norris Theater, a change from the previous venue of the Person Place. FRANKLINTON — Commissioners approved a policy that will govern how street lights are deployed in the town. They also, on Tuesday night, approved a special-use permit request that they hope shines light on other business opportunities in town. By a 3-2 vote — Commissioner John Allers had yet to arrive at the meeting — the board adopted a street lighting policy designed to prevent the proliferation of the lights, paid for with tax dollars.